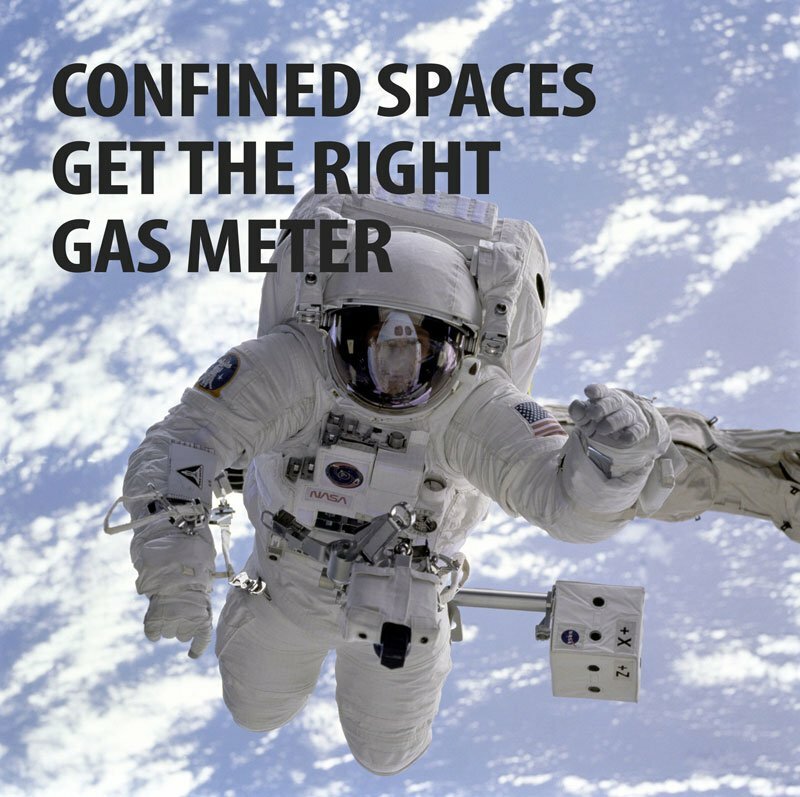 What gas meter to use for confined spaces? If you said Canary, you were right but that was 100 years ago and PETA may take issue with you today (I’m still waiting to see if they went after the ball boy for smashing that bug in the Rodionova vs Xu/Zheng AUSOpen match) . Technology has advanced tremendously since the Canary sniffing days. Technology has also become so advanced that most of us wish we could go back to the Canary days instead of dealing with the head spinning headache of sensor technology. Picking the right gas meter has become a cumbersome and overwhelming task. So let’s slow the spinning just a bit. Let’s face it, the biggest threat to safety in a confined space is entry into an unknown atmosphere. Nearly 65% of all deaths in a confined space are due to hazardous atmospheres where entrants were unaware of the deadly gases. Not to mention deadly gases, oxygen enrichment and depletion/deficiency will kill you just as quickly. Oxygen is pretty straight forward, the sensor measures the level of oxygen and alerts you when it nears enrichment or deficiency. Combustibles is also pretty straight forward and looks for flammable gases. Unfortunately, toxic gases become tricky because we need to know what gases we are dealing with. Hence, OSHA’s requirement to identify and test your confined spaces for the gases prior to allowing employees to enter those spaces. Which is what most of us don’t do. The myriad of toxic gas sensors available today makes choosing the right one very difficult. Most schools and cities are not producing gases as part of an industrial process, so selecting a gas sensor is dependent upon industrial hygiene testing prior to allowing employees to enter the spaces. Surveys are very important for this reason. Only then can you pick the right sensor to use for the space in question. And if you have more than one confined space and more than one toxic gas, then you may need to purchase multiple sensors to use with your gas meter. Purchasing multiple sensors beats purchasing multiple meters, but it still means that you must conduct a survey of your spaces to know what you are dealing with. Time and time again, I see schools and cities loosely identify their confined spaces, never test the environments for the hazards and then send staff into these spaces with a simple oxygen meter. Luckily there have been few incidents in these confined spaces in our California schools, but as we know luck always goes away. So, the best thing you can do is survey your spaces properly. Determine what gases are in the spaces and what other hazards are present. Then you can purchase the proper sensors for the monitoring. Which may mean that you need to change out sensors for each of the spaces you go into.